Siempre Unidos provides monthly educational courses about human sexuality and disease prevention to military recruits. We offer regular HIV testing to all military personnel. 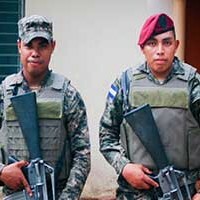 In exchange, the Army Brigade provides volunteers who selectively accompany Siempre Unidos workers on particularly dangerous outreach activities, serving as armed guards.